Bertha Ann Vincent Cantwell, 96, passed away peacefully at the Manor House in Seaford, DE on Nov, 24, 2018. She was born April 12, 1922 to Vordie and Myra Vincent of Concord, Del. She was preceded in death by her husband, Armond (Bush) Cantwell, from Cambridge, MD, her brother, Joseph Vincent of Bridgeville, DE, her sister and brother-in-law, Mary and Norman Windsor, of Laurel, DE, her niece, Carol Mackie, of Fredericksburg, VA, and her nephew, Larry Windsor, of Laurel, DE. She is survived by her nieces, Nancy (Bill) Callahan of Laurel, DE and Becky (Glen) White of Little Rock, AR, and many other nieces, nephews, grandnieces and grandnephews. 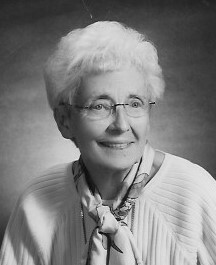 Bertha was one of the first employees to be hired at the DuPont company in Seaford, DE where she worked for many years. She and her husband loved to travel and go crabbing on the Choptank River. She made the most wonderful coconut cakes whenever anyone had a birthday, and she did love her chocolate. She was always there to listen to friends and family, and she will be missed by all who knew her. A special thanks to a dear friend, David R. Smith of Seaford, DE, the staff of the Manor House and Vitas Hospice. A Memorial Service will be held Saturday, Dec. 1 at Cranston Funeral Home, 300 N. Shipley St, Seaford, DE at 1 pm.